Product | Personal ProtectionSee our selection of personal protection products to keep you safe no matter the hazard! 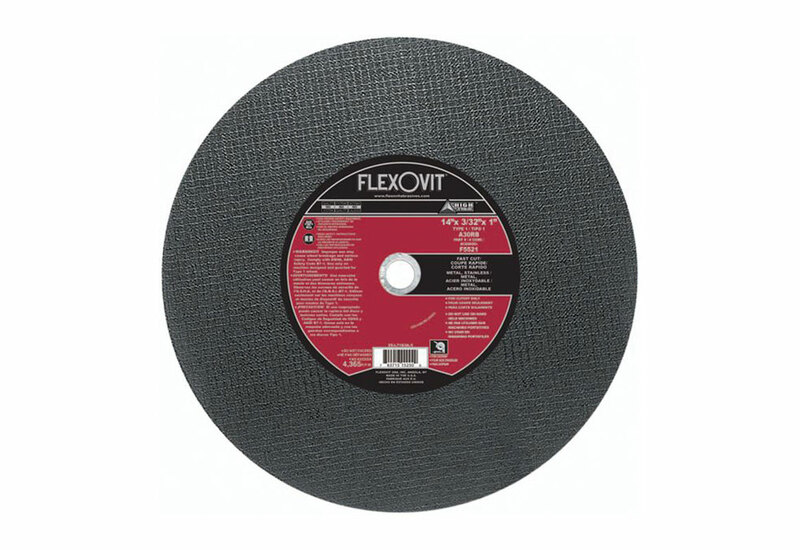 The Flexovit F5521, 14" Type 1 Chopsaw Cutoff Wheel is built to cut through carbon and alloy steels including stainless steel. 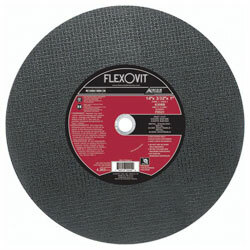 This chopsaw cutoff wheel is built for cutting a wide range of materials including angle, channel, tubing, solid carbon steel and alloy steels. This wheel is built to cut fast with its maximum RPM of 4,365 and leaves clean, burr-free cuts. Wheel dust is a respiratory and skin irritant. This wheel has been reinforced with fiberglass which is also a skin irritant. Wear leather gloves, OSHA approved respirator, face shield or safety glasses and earplugs or ear muffs when using this wheel. Store in a dry area that avoids excessive temperature changes. Discard if wheel gets wet, damaged or dropped.